¡Hola preciosas! Si hay un print que ha llegado para quedarse temporada tras temporada, es el animal print. Me encanta en todo tipo de prendas y tejidos pero no tenía ningún calzado con este estampado y cuando vi en Menbur estos stilettos lace up me enamoré son perfectos y muy cómodos para llevar en cualquier look, ya veo mil combinaciones con ellos!! Espero que os haya gustado el look de hoy, miles de besos!!!!! Hello babes! If there is a print that has arrived to stay season after season, it is the animal print. 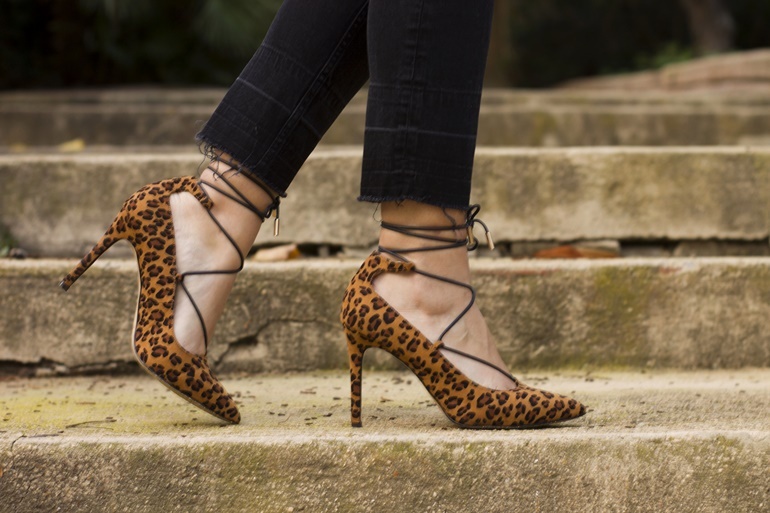 I love all kinds of garments and fabrics but I had no shoes with this print and when I saw in Menbur these stilettos lace up I fell in love are perfect and very comfortable to wear in any look, I already see a thousand combinations with them !! I hope you liked the look today, thousands of kisses!!!! !